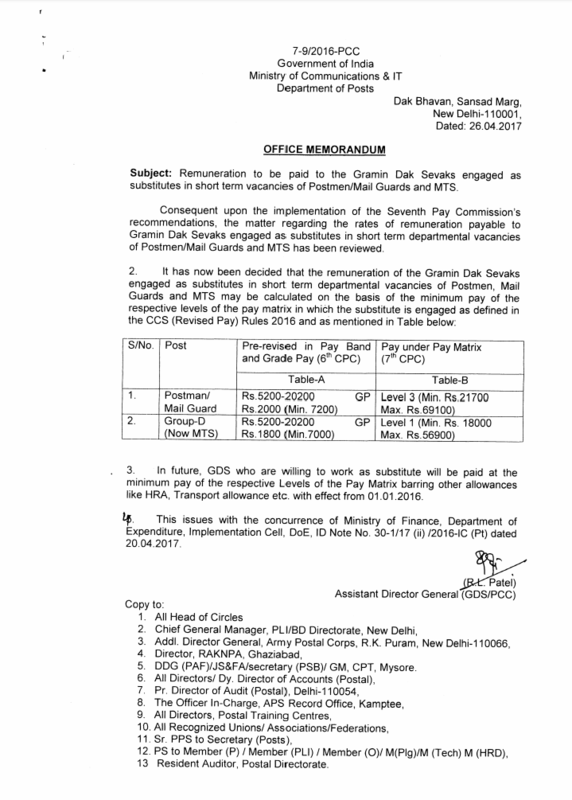 Sub :- Remuneration to be paid to the Gramin Dak Sevaks engaged as substitutes in short term vacancies of Postmen / Mail Guards and MTS. Attention is invited to this Directorate OM of even number dated 26.04.2017 vide which rate of remuneration of the Gramin Dak Sevaks engaged as substitutes in short term department vacancies of Postmen, Mail Guards and MTS was issued. 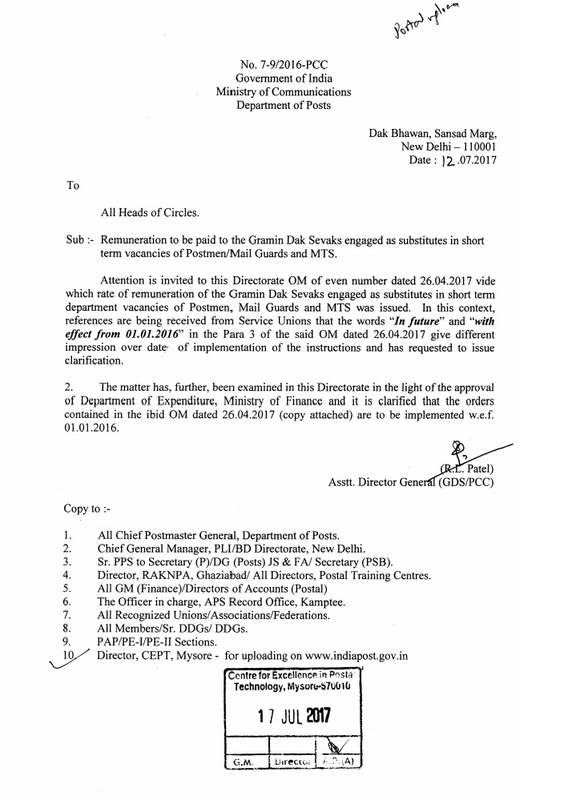 In this context, references are being received from Service Unions that the words “In future” and “with effect from 0L01.20l6” in the Para 3 of the said OM dated 26.04.2017 give different impression over date, of implementation of the instructions and has requested to issue clarification. 2. The matter has, further, been examined in this Directorate in the light of the approval of Department of Expenditure, Ministry of Finance and it is clarified that the orders contained in the ibid OM dated 26.04.2017 (copy attached) are to be implemented w.e.f. 01.01.2016.